The weather can turn on a dime in the Bay Area. Last week, the cold, windy weather suddenly gave way to the sun, giving Bay Area residents an excuse for weekend getaways and barbeques Yet, an unfortunate aspect of the recently improved weather was a slew of auto accidents. Rainy weather makes driving an exercise in focus and restraint, due to the low visibility and slick roads associated with it. Meanwhile, warmer temperatures mean more people on the roads, thus increasing the chances of a crash. There were no less than four major injury accidents in San Francisco during the week of May 7 to May 14. 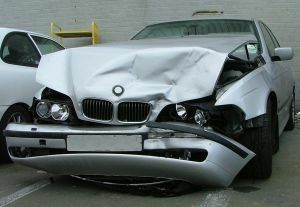 The accidents exemplify common reasons for collisions. Thankfully, fatal drunk driving accidents are on the decline. According to the Center for Disease Control drunk driving fatalities declined 20% from 2006 to 2009. Even so, drunk driving is still the cause of 1 in 3 fatal crashes in the United States. The Marin Independent Journal reports that during the weekend of May 12 five accidents were attributed to driving under the influence in and around San Francisco. Earlier in the week, a drunk driver on Treasure Island struck a parked car, pushing it into two pedestrians throwing away trash into a nearby garbage receptacle. The 31 year old man suffered a cut to the back of the head and the 11 year old boy was taken to the hospital with a life threatening head injury. The car also caused minor injuries to a 9 year old boy who was getting out of the parked car at the time. As Mothers Against Drunk Driving urges drivers to remember, there are many variables that determine how alcohol impaired a person becomes with each drink, therefore the safest choice is never drink and drive. According to Millbrae Patch, on May 10 a man driving a van on 101S between San Francisco and Millbrae exited the freeway into a turn. Due to his excessive speed, he lost control and crashed into a retaining wall. Moreover, the man was not wearing a seat belt and was ejected onto the roadway sustaining major injuries. Freeways and thoroughfares often give drivers a false sense of security because they tend to be wide and straight. However, speeding always reduces drivers’ control over their vehicle and may prevent them from responding in time to an unexpected danger. The National Highway Traffic and Safety Administration estimates that in 2007, speeding was involved in 31% of fatal crashes in the United States. CBS Local News reported that on May 9 a PG&E truck turned left into from Van Ness onto 13th Street in San Francisco and collided with a bicyclist. The bicyclist was rushed to the hospital with life threatening injuries. On May 14, an SUV driver hit a 62 year old man at a crosswalk in North Beach and then sped off, leaving the man lying in the street. The hit and run victim was taken to the hospital with a life threatening head injury. The police are asking for help identifying the driver of the SUV. It goes without saying, that leaving the scene of an accident is one of the worst decisions a driver can make. Turns and intersections present a lot of challenges for drivers, especially in high tourist areas like North Beach. Drivers are not only looking out for other cars, but also pedestrians, bicyclists, and buses that may cross their path. Accidents at crosswalks should remind drivers to check all mirrors before turning, pedestrians to look both ways before crossing, and bicyclists to always dismount and walk through crosswalks, rather than unexpectedly veering through an intersection. The Brod Law Firm encourages Bay Area residents to stay safe. We fight for injury accident victims in the Greater Bay Area. If you have been hurt in an accident, please call for a free consultation today.